This is far more common in women runners as due to the hip anatomy of a female athlete, they have an increased Q angle to begin with. Tight muscles groups are another leading cause of patello femoral injury. If posterior groups such as calf muscles and hamstrings are tight extra stress is placed on the knee as it does not fully extend through the gait cycle. 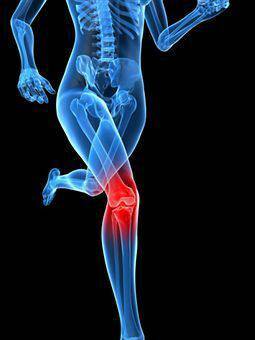 Constant knee flexion leads to injury. Worn footwear is also a major contributory factor. If the shoe is not doing its job of providing both stability and shock absorbency then ground reaction force will be transferred to the knee increasing the chances of patellofemoral problems occurring.